People can gain access to contraceptives and abortion pills without the government forcing religious and pro-life groups to provide them. But California, Delaware, Maryland, New York, and Virginia can't seem to accept that. These state governments are challenging federal regulations that protect religious and pro-life non-profits who conscientiously object to U.S. Department of Health and Human Services' (HHS) abortion pill mandate. Alliance Defending Freedom (ADF) is representing March for Life before the U.S. Court of Appeals for the Ninth Circuit, asking that it uphold those protections. Here's a little history on the HHS abortion pill mandate. The previous Administration originally implemented the mandate in 2012. It forced employers, regardless of their religious or moral convictions, to provide their employees with abortion-inducing drugs, sterilization, and contraception under threat of heavy financial penalties. The mandate has been in court ever since. And really, its track record is not so great. A number of religious business owners, including Hobby Lobby and our client Conestoga Wood Specialties, challenged the mandate and won at the U.S. Supreme Court in 2014. After that loss, the previous Administration made some changes to the mandate, claiming that it was addressing the moral objections of religious and pro-life non-profit organizations. But it did not. The so-called "accommodation" still gave access to the objectionable drugs and devices through the employer's insurers and third party administrators – requiring the active participation of religious employers in the scheme to provide abortion pills. Because of that, many religious and pro-life non-profit organizations have continued to fight the HHS mandate in court. In May 2016, the Supreme Court dealt another blow to the mandate in Zubik v. Burwell, which involved five Christian colleges and many other religious groups, including the Little Sisters of the Poor. The Court sent these cases back to the lower courts, vacating previous rulings against the religious groups. Put simply, the Supreme Court asked the Department of Health and Human Services to come to a resolution that did not burden the religious organizations while still serving the government's interests. 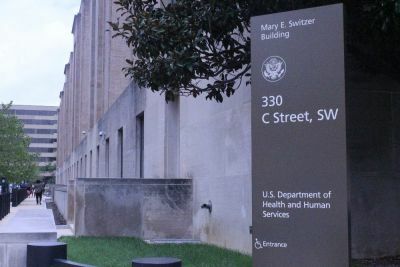 In 2017, the Trump Administration issued new HHS rules, freeing a number of non-profits from the abortion-pill mandate and paving the way for many of the pending lawsuits to finally be resolved (as many have been since). That same day, however, California – later joined by Delaware, Maryland, New York, and Virginia – filed a lawsuit to block these new HHS rules, and keep religious and pro-life non-profits from receiving this relief. Unfortunately, a district court judge agreed to do so. But ADF will continue to fight for the right of these organizations to pursue their missions consistent with their most foundational beliefs. After all, the government shouldn't be forcing anyone to provide life-destroying drugs and devices against their conscience. The Supreme Court has made that clear. But these states just can't seem to move on. Sarah Kramer is a digital content specialist at Alliance Defending Freedom. She graduated from Hillsdale College in 2013 with a degree in Political Economy and Journalism. She worked as an investigative reporter before joining the ADF team.